StateWide Windows is Now Hiring! StateWide Windows of Elkhart and their parent company Truck Accessories Group (TAG) (home of LEER Truck Caps) are offering students at home for the summer an opportunity to gain valuable experience in manufacturing by offering a number of positions at their StateWide Windows plant at 3518 County Road 6 East on the north side of Elkhart or at their TAG/LEER truck cap plant at 28858 Ventura Drive, just off the bypass on the south side of Elkhart. College students looking for a summer job have a wealth of options in northwest Indiana, where the unemployment rate has dipped below two percent, giving them a choice of where they earn both experience and much-needed funds for the coming school year. 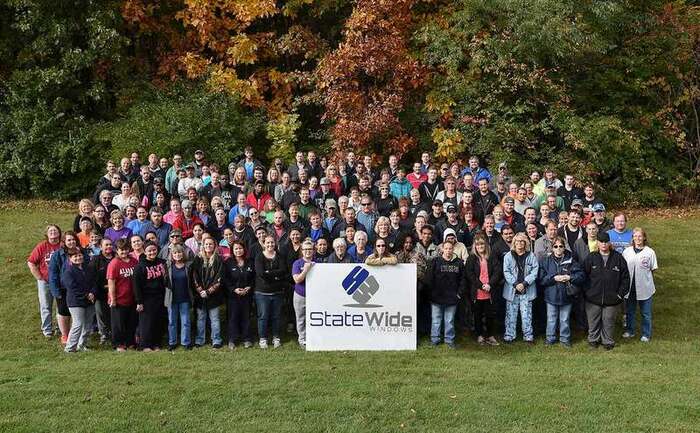 "In the highly competitive employment environment of Elkhart County Indiana, our company stands out with exceptional employee retention rates and future growth opportunities, said StateWide Director of Operations Doug Eberlein. "We've maintained a loyal group of team members and achieved a retention rate of over 80 percent of our employees have been with the company for more than three years. "LEER is the most widely recognized brand name in the truck cap industry and the number-one selling brand of pickup truck covers and tonneaus, so having our name on a resume is a huge plus for a college student looking for work after graduation, said Corporate Director of Human Resources for Truck Accessories Group, Barry Kosek. Immediate opening for a full time manufacturing engineering technician. Candidate should have experience in analyzing and evaluating existing manufacturing processes, making improvements, work simplification, and provide technical support to manufacturing. Experience with window or door manufacturing is a plus. Responsibilities will include creating and updating manufacturing processes, preparing graphs of data for analysis, and preparing manuals. For consideration send resume, cover letter and salary requirements to: akaper@state-wide.com. Looking for a dynamic and aggressive individual with mechanical ability and a minimum of 3 years direct line supervision. This person will spend 90% of their time directly on the production floor managing efficiencies, balancing manpower, and ensuring consistent quality. First Shift position with competitive compensation and benefits. For consideration send resume, cover letter and salary requirements to: akaper@state-wide.com.